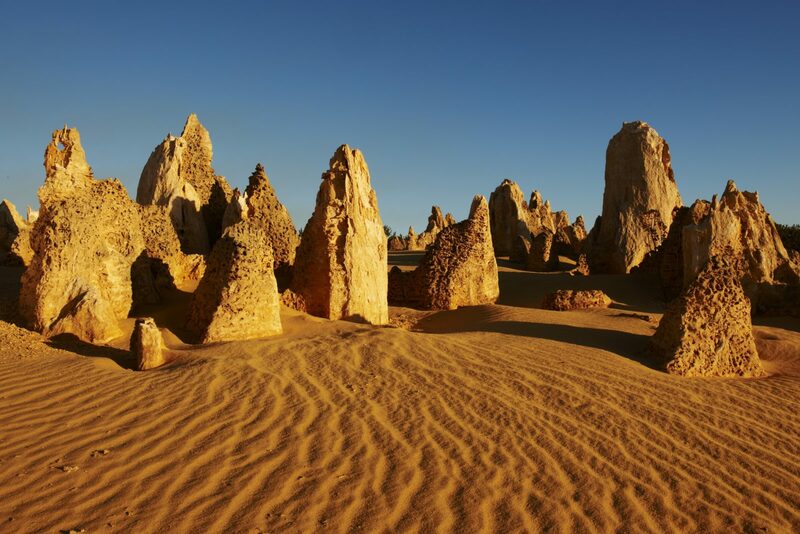 The only region in Australia where you can take a sunny beach holiday at pretty much any time of year, the Coral Coast experience begins among the mysterious formations of the Pinnacles formed over millions of years near Cervantes. Beyond lie two of Australia’s UNESCO World Heritage listed attractions, spectacular Shark Bay and the largest fringing reef on Earth, Ningaloo Reef – home to some of the most extraordinary marine life you’ll encounter anywhere in the world. Follow the Indian Ocean Drive north of Perth and you’ll find yourself in Australia’s Coral Coast in just over two hours. Its proximity means a variety of leisurely and adventurous day trips or extended itineraries are regularly on offer. And with local airlines regularly flying to Learmonth (servicing Exmouth and Coral Bay), Geraldton, Kalbarri, Monkey Mia and Carnarvon, there are plenty of options to design your own escape. Year round world class snorkelling, diving and fishing are the biggest hooks that lure thousands of visitors to this region. 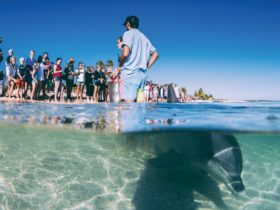 It’s where you’ll meet the famous dolphins of Monkey Mia and encounter the world’s largest population of dugongs. It’s also one of the few places on Earth where you can swim with the largest fish in the ocean – the gentle whale shark. There is just as much adventure to be found on land. Let one of the oldest surviving cultures share their stories and insights of the Coral Coast on an authentic Indigenous cultural tour. In the coastal playground of Kalbarri, where 400 million year old river gorges meet the Indian Ocean, over 183,000 hectares of spectacular landscapes are yours to explore. And after the winter rains, the whole region is carpeted in the colours of over 1,100 varieties of Western Australian wildflowers.